Iris flowers are a typical springtime flower. Its delicate petals open fully to expose the striking yellow throats on the outermost petals. 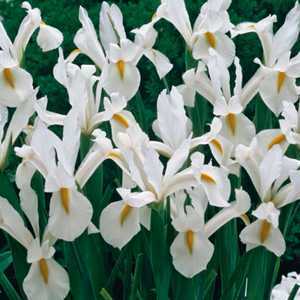 Admired throughout history this graceful white Iris is sure to be a focal point in any wedding bouquet table centerpiece or flower arrangement.